Fred was one of one of five children born to Mary Evelyn Buck and Sam Davis in Altus, Arkansas. Fred the Air Force at age of 17, went to radar school in Phoenix and worked in Alaska mapping shipping lanes. Using eht G.I. Bill he attended Redlands College where he became an avid student of history and the arts. He eventually received a Master’s in social counseling. He worked as a juvenile probation officer in Alameda County, and then joined Synanon where his work focused around addiction and recovery. Later he worked for Child Protective Services. In retirement he founded the Visalia Democratic Club, ran for local office and focused on mobilizing underrepresented minorities. He would want to be remembered for his unwavering love of the SF Giants, his masterful tennis skills, his work as president of sever unions where he fought for worker rights, his tireless for local charities, especially Visalia Emergency Aid Council. His frequent spirited political articles in local newspapers, bust mostly for his earnest sense of compassion for children. 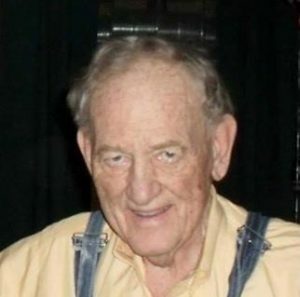 Fred was devoted to his family and was a mentor to many local activists. His smile and his inspiring calls to action will be dearly missed.